Singapore has done it again, topping the biggest global school rankings published by the OECD (Organisation for Economic Co-operation and Development). The rankings are based on an amalgamation of international assessments, including the OECD's Pisa tests, the TIMSS tests run by US-based academics and TERCE tests in Latin America, putting developed and developing countries on a single scale. The analysis, based on test scores in maths and science in 76 countries, is a much wider map of education standards than the OECD's Pisa tests, which focus on more affluent industrialised countries. The latest Pisa test in 2012 polled 65 countries and regions. The top five places are all taken by Asian countries - Singapore, Hong Kong, South Korea, Taiwan and Japan while Ghana at the bottom. The top performer, Singapore, had high levels of illiteracy into the 1960s, continuously showing tremendous progress and outpaced many developed nations such as U.S., UK and Australia which regarded as highly ranked nations in education by international communities. Learn more about the Top 20 Ranking of the biggest global education rankings published by OECD on 13 May 2015. At tertiary education level, universities in Singapore also scored and fared highly in many of the world reputable university rankings. National University of Singapore (NUS) and Nanyang Technological University (NTU) have ranked among the global top 10 for multiple subjects, according to the 2015 Quacquarelli Symonds (QS) World University Rankings by Subject released on 29 April 2015. The annual subject rankings are based on surveyed opinions of 85,062 academics and 41,910 employers, alongside analysis of 17.3 million research papers and over 100 million citations. NUS also made the top 50 worldwide for a total of 30 subjects. It is also the best-performing Asian university, topping the list of universities outside the UK and US with the most number of subjects placed in the top 10 ranking. Education (ranked 10th in the world and 1st in Singapore). NTU’s Education programme, entered the global top 10 in the QS subject rankings for the first time this year. Other NTU’s Subjects’ like Mechanical, Civil, Computer Science, Chemical, Communication & Media, Accounting, Business, Statistics, Linguistics, Art & Design, Chemistry, Environmental, Mathematics, Physics and Psychology are among the subjects ranked in the top 50 in the world. While universities in Singapore are world class standard, the Ministry of Education does not have a list of accredited overseas universities. There is also no central authority in Singapore that assesses or grants recognition for degrees obtained from overseas universities. The reason is that the employer should be the one deciding whether a degree-holder has the qualities desired for the job and the qualification most relevant to his needs. The employer is in the best position to decide how much value he will assign to a person’s qualification. Knowing the fact that Singapore is a high standard education hub with many strict rules in term of quality assurance and stringent requirements, it is also certain that the government of Singapore will never tolerate and compromise the quality of graduates in professional degrees like medicine and engineering. These strict rules are applied to both graduates from Singapore's universities as well as graduates from overseas universities so life threatening risk is minimize and the public is in the safe-hands. In Singapore, only professional degrees such as those in engineering, medicine, law, and accountancy should be those recognised by the respective professional bodies. For example, a person with an engineering degree from an overseas university who intends to seek registration as a professional engineer in Singapore will have to check whether the institution that awards the qualification is recognised by the Professional Engineers Board. 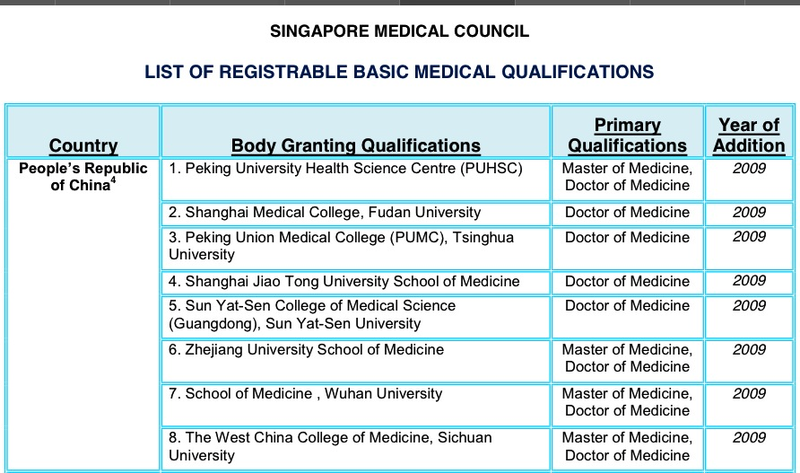 For medical degree from overseas university, it will be vetted through Singapore Medical Council (SMC) before allowed to practice medicine in Singapore. The government of Singapore is set to continue its efforts to maintain high quality and ensure high competence level of its skilled professionals. The professional bodies like Singapore Medical Council and The Institution of Engineers Singapore (IES) are delegated and tasked by the government to monitor and ensure all its working professionals are diligently evaluated, checked and accredited before putting them into the practise of respective fields so its good name as high quality education hub that produce highly qualified and competent professionals in medicine and engineering will not be tinted and jeopardised. A tiny nation with no natural resources but with high GDP per capita of USD36,897 (in 2013) and achieved high standard level of quality and professionalism in many areas is indeed a role model country for the rest of the world to follow! 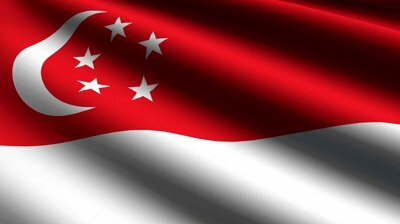 Singapore also known to be a country that provide many opportunities to high achievers to work in Singapore. Highly talented international graduates from overseas universities are welcome to make contribution and help make Singapore to remain as dominance country in many areas for many years to come. 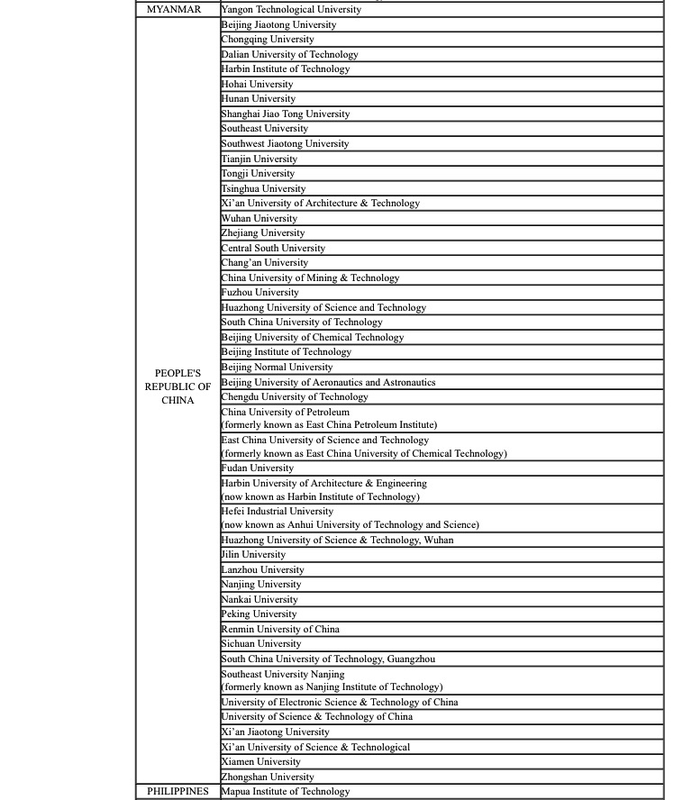 Below are the universities in China fully accredited by these two professional bodies in the fields of medicine and engineering. With the accreditation and recognition of these Chinese universities, it signify the high quality standard of the undergraduate courses in China.